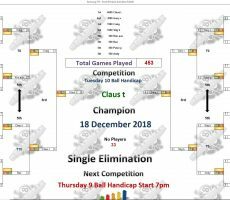 TUESDAY 10 BALL – 18th DECEMBER : CLAUS WINS. 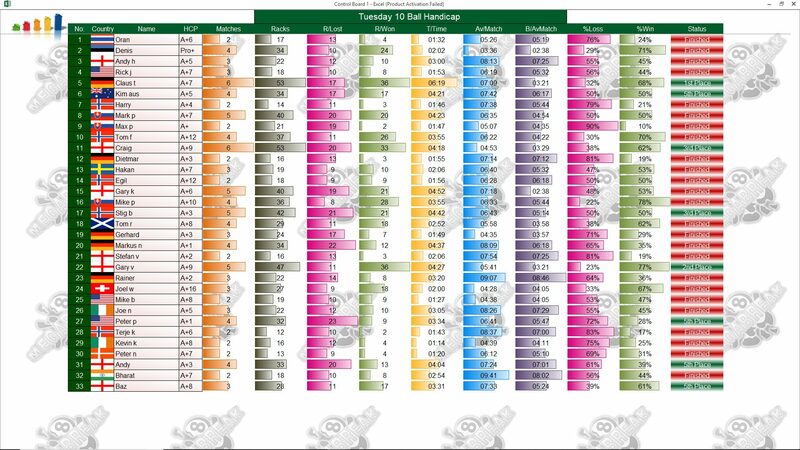 Germany’s Claus Thoden continued his recent run of good form to become our 10 Ball Champion for this week on Tuesday night. 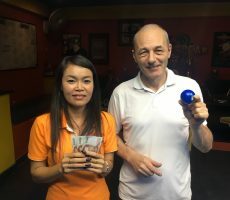 After winning our Sunday 9 Ball Competition the previous week, he found the extra ball no problem at all as he won all six of his matches to claim the 1st Prize of 6000 baht. 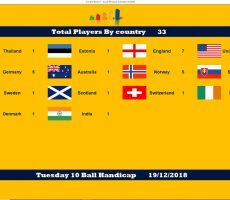 From another massive entry of 33 players, he beat Gary Vinson from Iceland in the final to seal a great performance on the night. 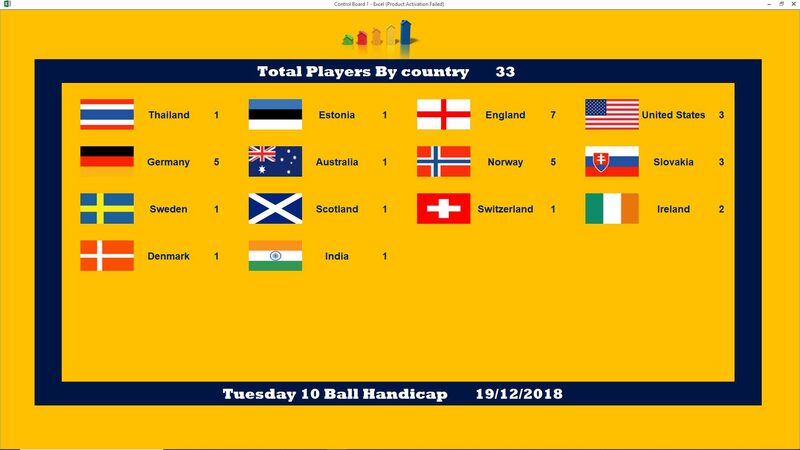 His handicap is now increased to A+8 as a result. 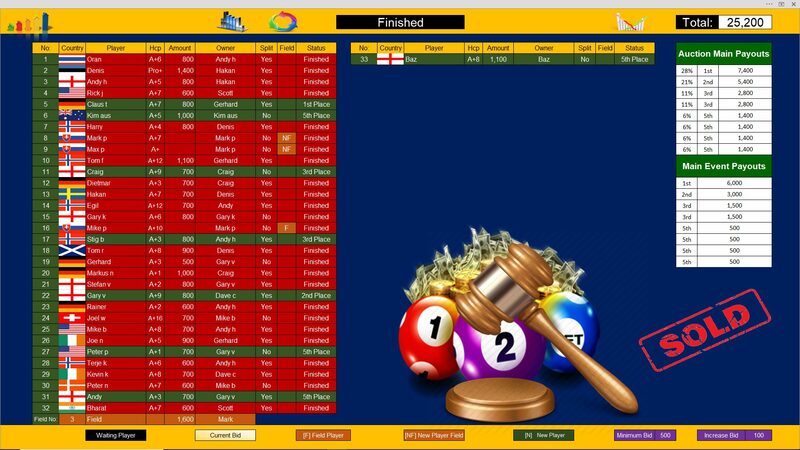 Gary also played impressively to reach the final before finding our champion just too strong, and had to settle for 3000 baht as Runner-Up. 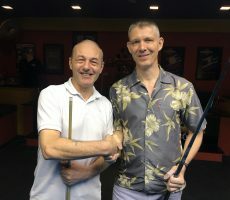 England’s Craig Jones and Stig Berntsen from Norway both played well to reach the semi-finals, collecting 1500 baht each. 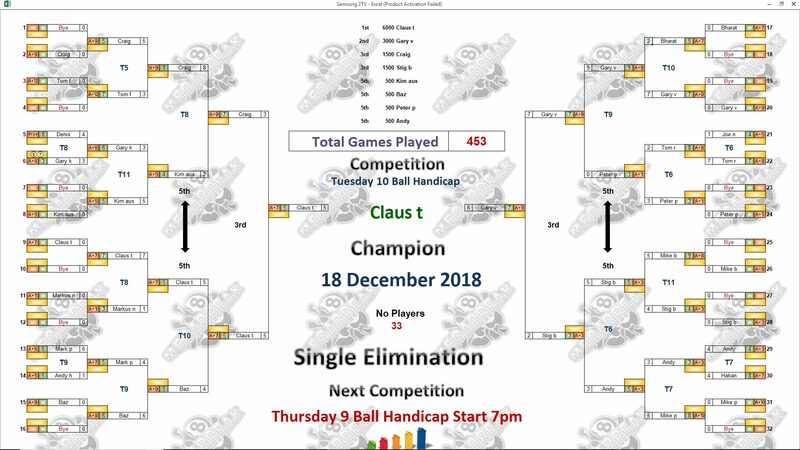 Champion : Claus (A+7) – 6000 baht. 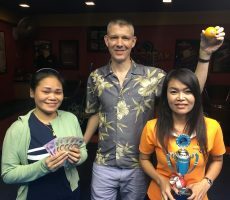 Runner-Up : Gary (A+9) – 3000 baht. 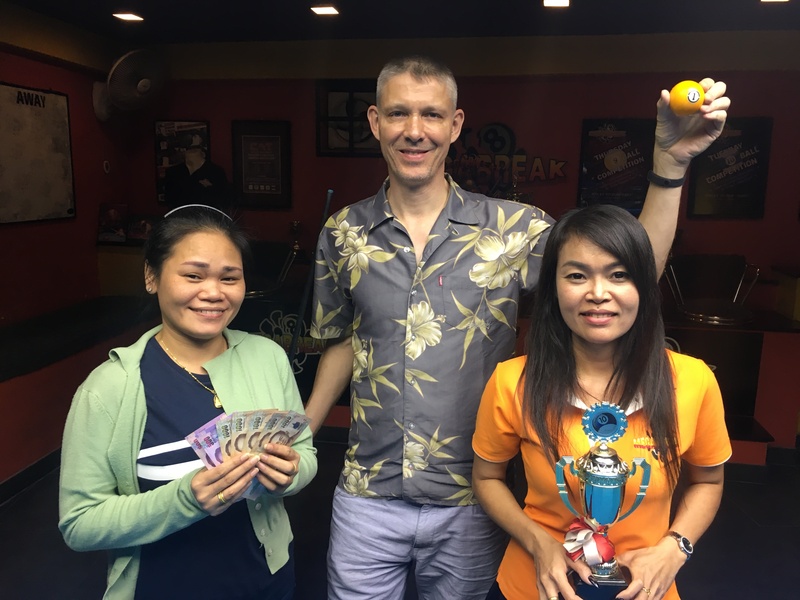 Semi-finals : Craig (A+9) and Stig (A+3) – 1500 baht each. 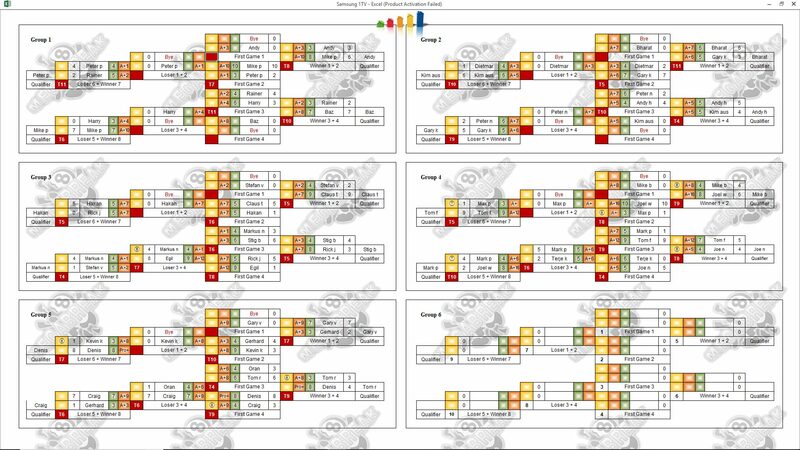 Quarter-finals : Barrie Sherman (A+8), Kim Muller (A+5), Andy OGrady (A+3) and Peter Pellack (A+1) – 500 baht each. The Player Auction Prize Pot totalled 25200 baht and was won by Claus’ fellow countryman Gerhard Schebler. 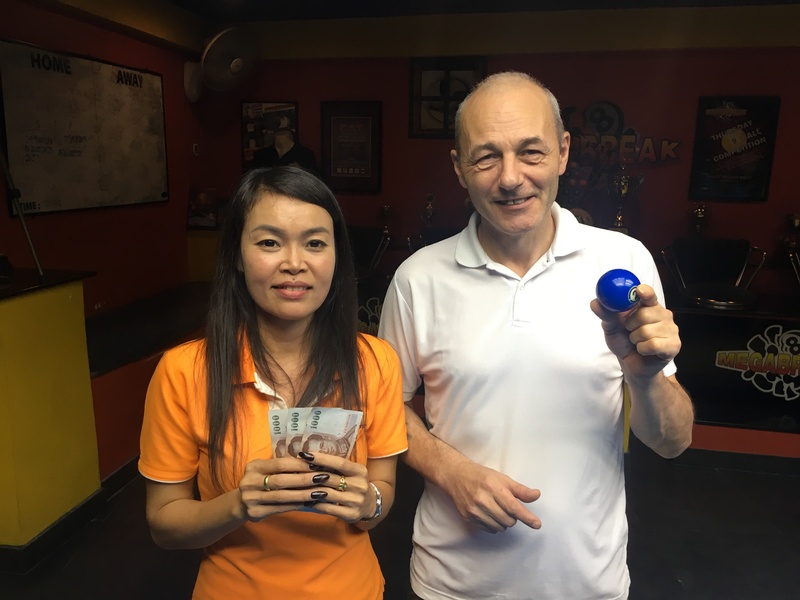 He paid 800 baht for our winner, and they shared the 1st Payout of 7400. 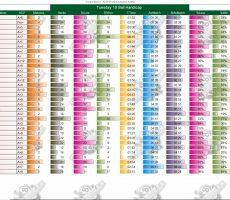 1st : Gerhard (Claus) – 7400 baht. 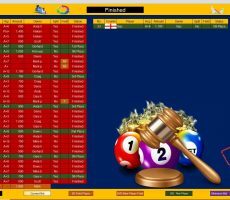 2nd : David Chalmers (Gary) – 5400 baht. 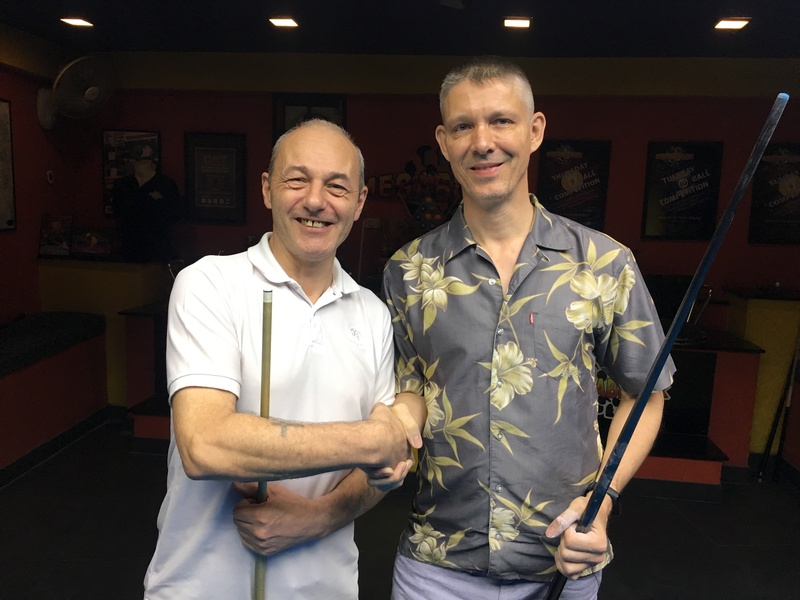 Equal 3rd : Craig (Himself) and Andy Hall (Stig) – 2800 baht each. 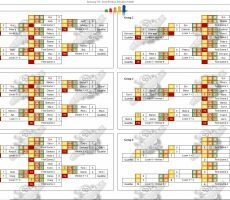 Equal 5th : Barrie (Himself), Kim (Himself) and Gary (Andy and Peter) – 1400 baht each.